Looks great and works very well. Is however quite noisy even on the lowest setting. But I guess of it was quiet it wouldn't work so well! Looks very good, stylish. Easy to use touch controls. Easy to install. Very effective at extraction. Not noisy at lowest speed and, as you would expect, a bit noisy at highest speeds but not too bad at all. But it is definitely effective. Much, much better than unbranded conventional hood it replaced. Excellent lights. Highly recommended, especially at the price. 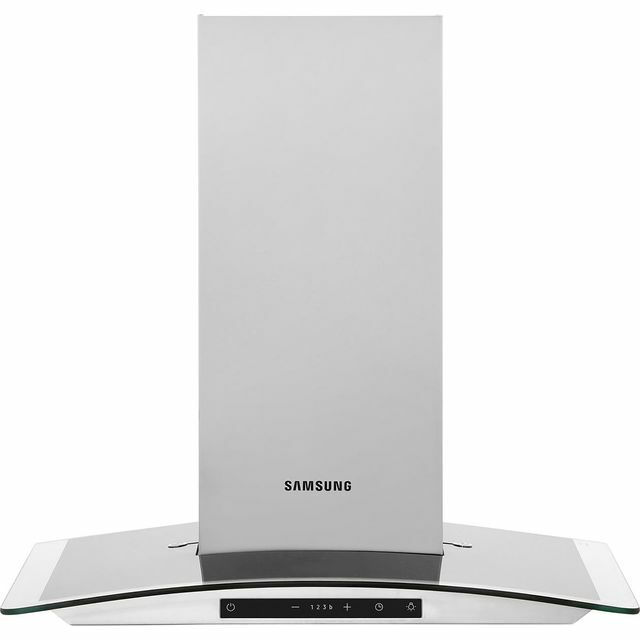 Looked for a mid range cooker hood and this was the best in this range. Looks good and AO price was much cheaper than elsewhere. Delivery simple and wuick so all good!